If you’re an investment advisor or broker dealer, the time is rapidly approaching when you’ll be subjected to an SEC cybersecurity readiness audit. Are you prepared? 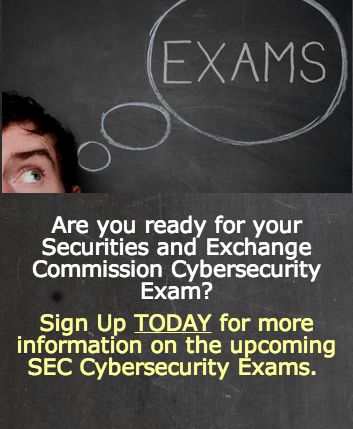 The Securities and Exchange Commission is planning to conduct more than 50 examinations to assess cybersecurity preparedness in the securities industry and to obtain information about the industry’s recent experiences with certain types of cyberthreats. 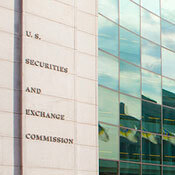 Organizations to be examined by the SEC’s Office of Compliance Inspections and Examinations include registered broker-dealers and registered investment advisers, according to an April 15 announcement. The examinations will focus on the entities’ identification and assessment of risks; protection of networks and information; risks associated with remote customer access and funds transfer requests; risks associated with vendors and other third parties; detection of unauthorized activity; and experiences with certain cybersecurity threats. Karen Evans, a partner at the management consulting service KE&T Partners LLC who previously worked at the Office of Management and Budget, says all business sectors should be conducting risk assessments and reviews of their security programs as is being outlined by the SEC. Updates on whether the organization experienced any type of cyber-incident.